Jennifer Hoffman is Special Counsel in the Business Trial Practice Group in the firm's Los Angeles office. For the past decade, Jennifer has focused her practice on insurance coverage, bad faith, and class action matters. 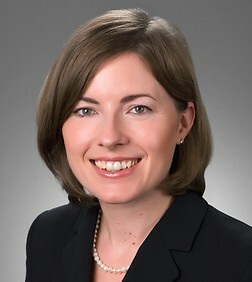 She litigates coverage and bad faith disputes at the trial court and appellate level, with an emphasis on disputes presenting particularly difficult legal challenges. She has defended clients against class action complaints in state and federal courts across the nation. Jennifer also counsels insurers in matters involving a variety of coverages and a diverse array of underlying claims, including claims arising under general liability, professional liability, advertising liability, automobile liability, and all-risk property policies. She is a member of the insurance defense team.